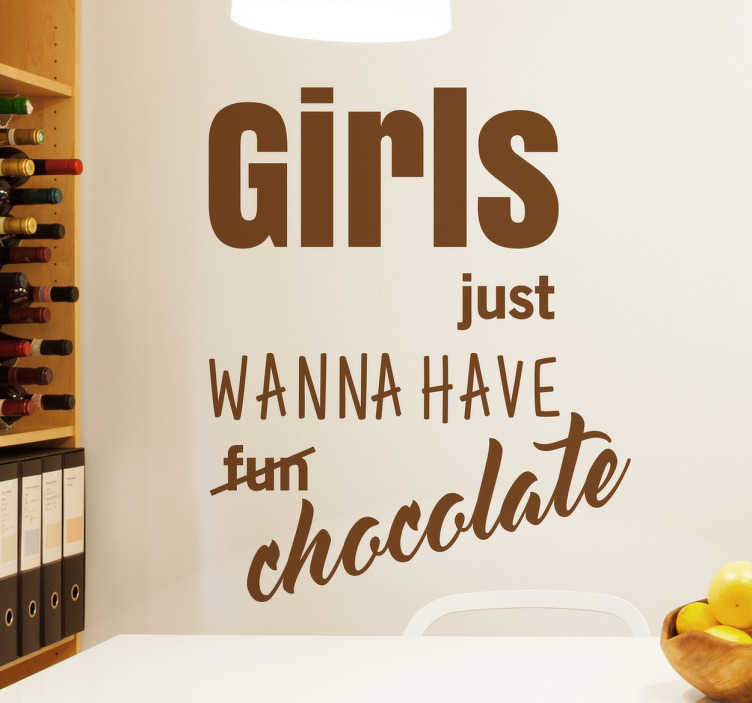 Girls just wanna have chocolate wall sticker. This funny sticker shows the word fun crossed out and replaced with the word chocolate. This funny quote reminds us what is truly important in life. This wall decoration is a nice addition to any living room, bedroom or nursery.